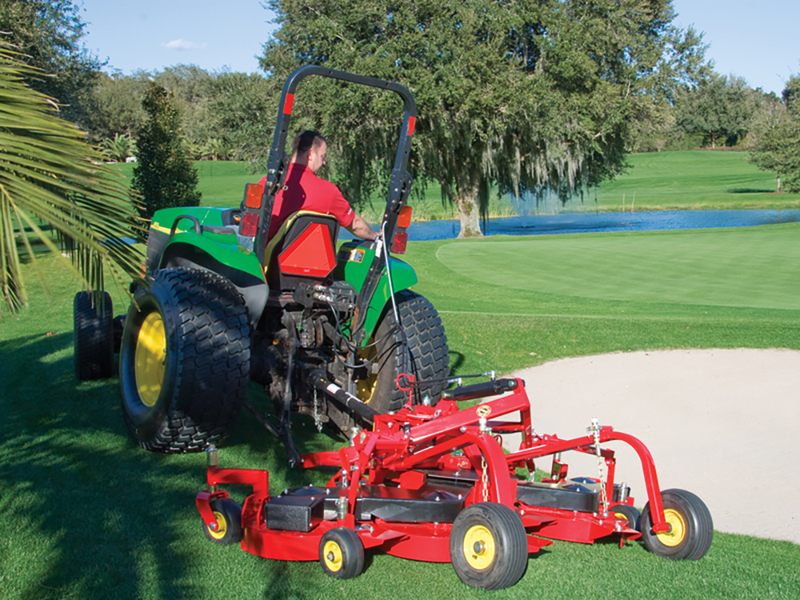 The Model 521XR is a five-deck version of the Model 721XR that revolutionized rotary mowing over a decade ago. The 521XR offers a competitively priced option for mowing applications that are best suited to use an eight foot wide mowing deck. The 521XR can be used with a lighter weight, lower horsepower tractor than the 721XR and is perfect for golf course roughs that need a narrower cutting width to mower in tight areas around trees and other obstacles. The Model 521XR offers a superior cut to self-contained mowers that cost more to purchase. This rugged mower uses the same drives and deck construction as the 721XR which means that it will never be pushed by the toughest cutting requirements.